The Quest: get nuts off tree and peel by using rocks. 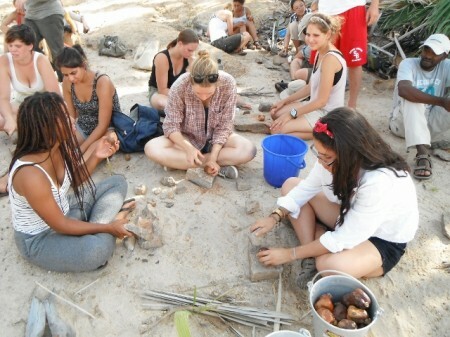 Archaeology, our fifth and final module, started Monday. 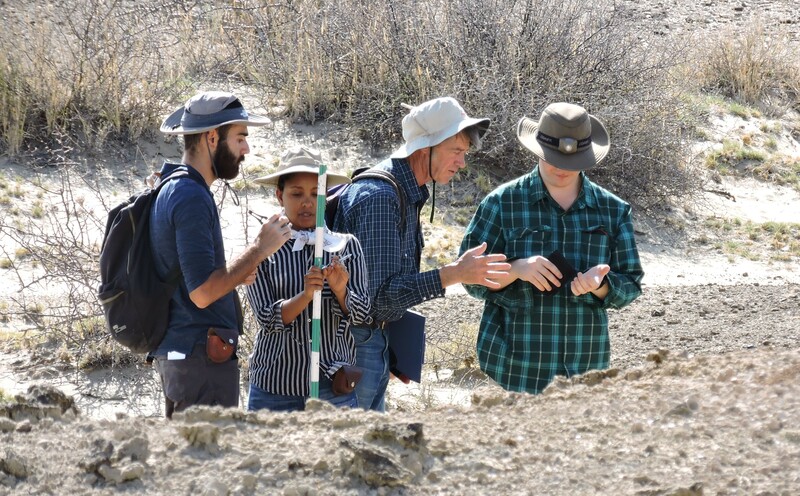 Students learned a lot about the basics: Archaeology is the study of artifacts and buildings that people have left behind. 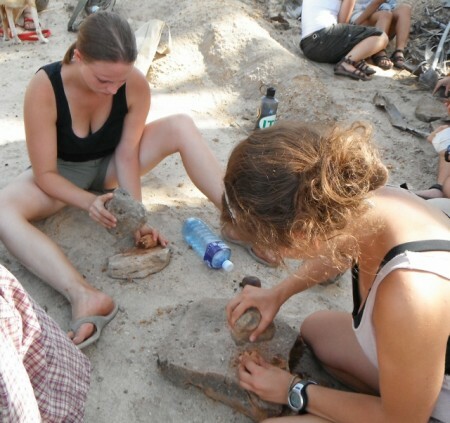 In Turkana, there are mostly stone tools that range in age from 3 million years to 50,000 years or less. 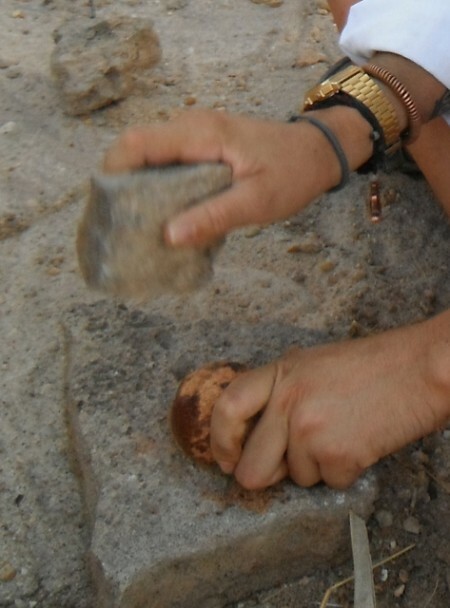 Students learned about stone tools, their differences, and their application. 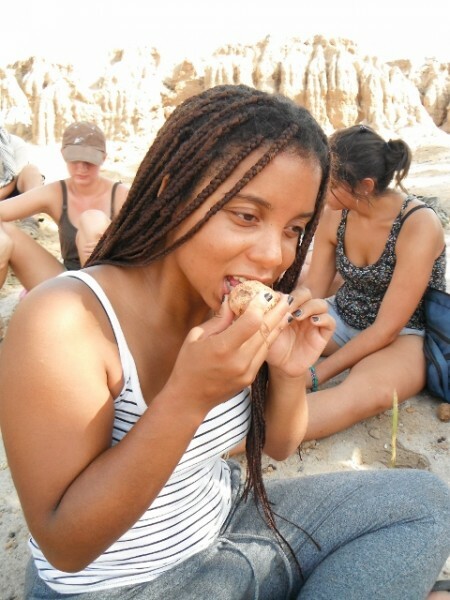 To experience what our early ancestors might have lived like, students received an assignment: Peel the rock-hard outer layer off a palm nut to get to the edible, and supposedly tasty, second layer – using stones only! 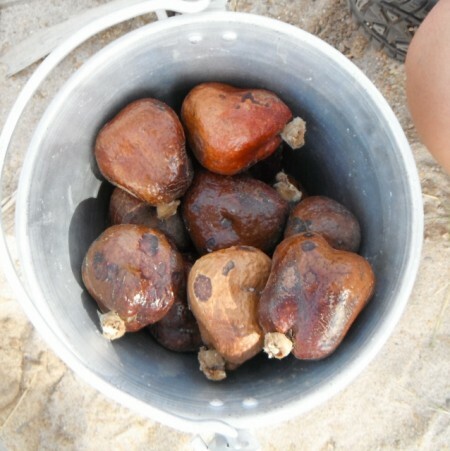 So students went off to find 1) palm nuts and 2) hammer and anvil rocks to process them. This turned out to be a little harder than it sounds, but everyone had great fun – including our Turkana neighborss! 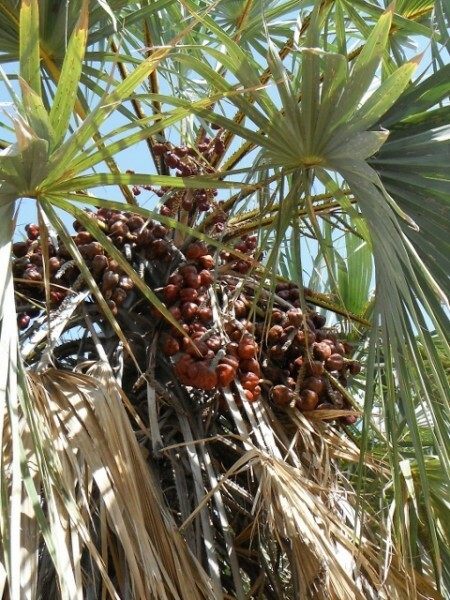 Palm nuts in bucket. 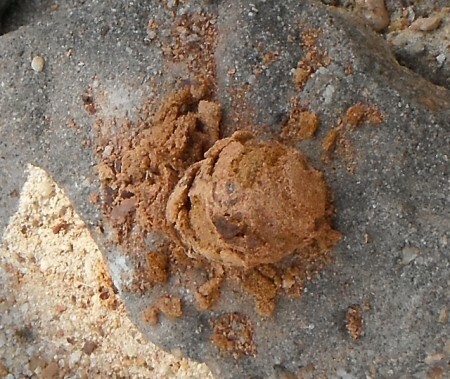 Under a thin outer (rock-hard) peel, there is a layer of fibrous dry flesh that local people eat. We shall see if its tasty! Chipping off the hard outer layer of the nut - patience required. 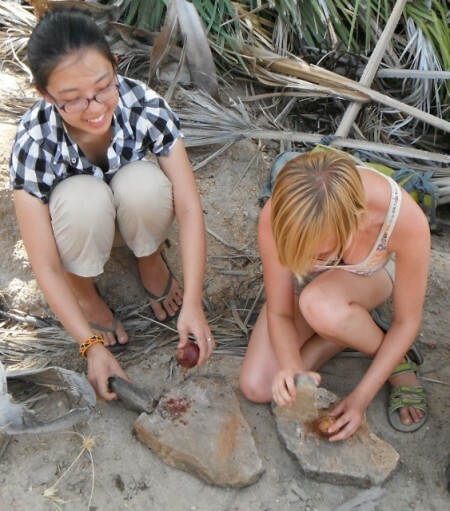 Students using very simple stone tools to peel the nuts. Its a lot of work but lots of fun! Chelsea and Brittany hard at work. Eunice and Kim having fun peeling their nuts. After the thin and hard outer peel is remove, an edible flaky and fibrous is revealed. Yummy!? The Taste-Test: Marcela is sampling the nut. Overall consensus: tastes like cardboard flavored with coffee! Previous students have compared the taste to caramel-a product of deprivation and wishful thinking? "Caramel?" Digser seems to be thinking....more like....sawdust. The local children show us how its done. They are very particular about choosing nuts (probably the caramel flavored ones), and they are much faster peeling them. They enjoyed watching our somewhat clumsy efforts.